Anthony “Prem” Carlisi was born in Phoenix, Arizona in 1955. He began his Ashtanga journey at the young age of 23, in 1978, when Guruji was teaching in Encinitas, California for 6 months. The following year marked his initial trip to Mysore, India where he studied Advanced A; currently known as third and fourth series. Prem was in the first group of western students to show up on Guruji’s doorstep in Lakshmipuram, Mysore. He is considered one of the oldest practitioners of the method, along with the likes of David Williams, Norman Allen, David Swenson, Nancy Gilgoff and Tim Miller. In the past thirty years, Prem has spent four of them studying and traveling all over India. In February of 2005, Prem was officially Certified by Sri K. Pattabhi Jois, as a senior Ashtanga Teacher. This title enables him to teach the Primary, Intermediate, Advanced A series and the Pranayama sequence of Ashtanga yoga. (Certification is different from Authorization; Authorized teachers are only allowed to teach the Primary series). As a certified teacher, Prem has the ability to communicate and pass on all aspects of the Ashtanga method to the next generation of yogis, with Guruji’s blessing. In addition to Prem’s studies of Ashtanga yoga, he has also done in depth Ayurvedic study with the reknowned Ayurvedic practitioner, Dr. Vasant Lad. In 1983, he initiated a 3 year course with Dr. Lad and was certified to do consultations and clinical work. Prem has also done courses with Dr. David Frawley and Dr. Robert Svoboda. 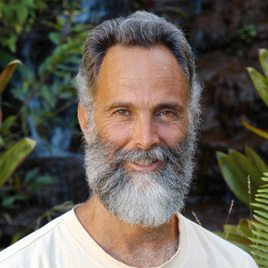 He uses the Ayurvedic principles in his own life, through diet, practice and lifestyle choices. Prem’s interest in Tantra began in the mid-eighties, but it wasn’t until several years later that he began to study it further. He feels that Tantra is the next natural progressive step to those exploring the vedic traditions and feels it completes the synergy of the Ashtanga, Ayurveda and Tantra systems. Prem continues his own independent studies, experimentation and ongoing exploration of these three sciences. Prem has shared his knowledge of Ashtanga, Ayurveda and Tantra over the past 30 years with thousands of people from all walks of life. Some of the more notables include: Gwyneth Paltrow and husband Chris Martin of Coldplay, Juliana Margulies, Jennifer Gardner, Ron Eckhard, NBA coach and author, Pat Riley, gold medalist of the decathlon Dan O’Brien 1996, best selling author and T.V. Personality, Dean Ornish, actor Pierce Brosnan(007/James Bond), and the infamous radio personality, Howard Stern. 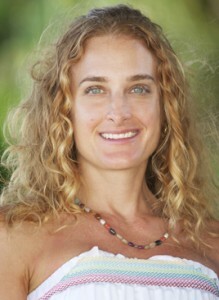 Heather Radha Duplex started her Ashtanga yoga practice in 1990, with Chuck Miller at Yoga Works in Santa Monica, CA. While still practicing Ashtanga, she began teaching in 1995. Being inspired by Chuck and the practice, Heather went to Lakshmipuram, Mysore, India in 1996, for the first time, to study with Guruji, Sri K. Pattabhi Jois. Since then, Heather has been Authorized by Guruji and has been back to India to study with him many times. She then became a student of Maty Ezraty in 1997 and studied with her for 9 years, and taught Ashtanga classes at the Yoga Works School in Santa Monica, California until spring 2006. She taught at Yoga Works for over 12 years. Along with studying with Guruji, Chuck and Maty, Heather has also been fortunate over the years to have taken classes and workshops with master teachers such as: Annie Grover Pace, Richard Freeman, and Dena Kingsberg. She is an advanced practitioner and has completed the third series. Heather has been studying Ayurveda since 2000, and has done several study intensives with Ayurvedic teachers, Maya Tiwari (A Life of Balance) and Amadea Morningstar (The Ayurvedic Cookbook) as well as healer Paul Pitchford (Healing with Whole Foods). Heather loves the art of Cooking and specializes in what she considers Yogic Food. In addition to the ongoing explorations of Ashtanga Yoga and Ayurveda, Heather and Prem are deepening their experience of Tantra together. For more information about Heather and Prem, please visit their website at www.ashtangaworld.com.